A West Ham United season ticket holder has been told by club staff that he faces being reported to the police - should he sell the ticket for one match. KUMB member Dwightster contacted the club this week to enquire as to how he may sell his girlfriend's season ticket for the forthcoming clash with Leicester, as she is due to give birth around the time of the match. Having been told that she may only do so via official channels, the supporter was disappointed to learn that he would be compensated in "club cash" - which must be spent by May 31. And when rejecting that offer - due to the unlikelihood of his partner having the opportunity to spend it - he was informed in no uncertain terms that any "unauthorised sale" of his season ticket "may amount to a criminal offence under Section 166 of The Criminal Justice and Public Disorder Act 1994". The member of staff in question - known only as 'Ebz' - added that "the Club will inform the police" if and when it is made aware that the ticket was being used by anyone other than the individual to whom the ticket was issued. After Dwightster registered the complaint on the KUMB Forum, we asked one of our in-house legal eagles whether or not West Ham United were entitled to make such threats against its own supporters. "The Criminal Justice and Public Disorder Act '94 came with a raft of legislation following the Taylor Report," said our expert. "It coincided with the introduction of all-seater stadium requirements. "At the time, Section 166 was designed against touting. Touting commercially was illegal anyway under different law, but now selling on your own ticket was illegal as well. The intentions were to ensure that the police could identify seat occupants. "The Violent Crime Reduction Act 2006 went further, amending the CJPDA by making it illegal to pass on your ticket to any other person, even without charge. Again the only intention must have been to stop the passing of football tickets around to ensure identification. "That said, I have never heard of anyone being prosecuted under Section 166 either for selling their ticket or for passing it on. Rather, tickets get taken away and people get threatened with bans. "It looks like West Ham have access to a reporting system between clubs and other event organisers which they threatened the supporter with. Meanwhile, the Club sell to agencies, set up their own ticket trading business and allowed 10,000 £99 kids tickets to be used by God knows who." Our legal expert also pointed out that such ticket swaps were conducted every week with the full knowledge of the Club - most evidently in the corporate sections of the ground. "I know people who have tickets in company names who then invite guests on a match day basis," he added. "Half the people in corporate don't know the other half! 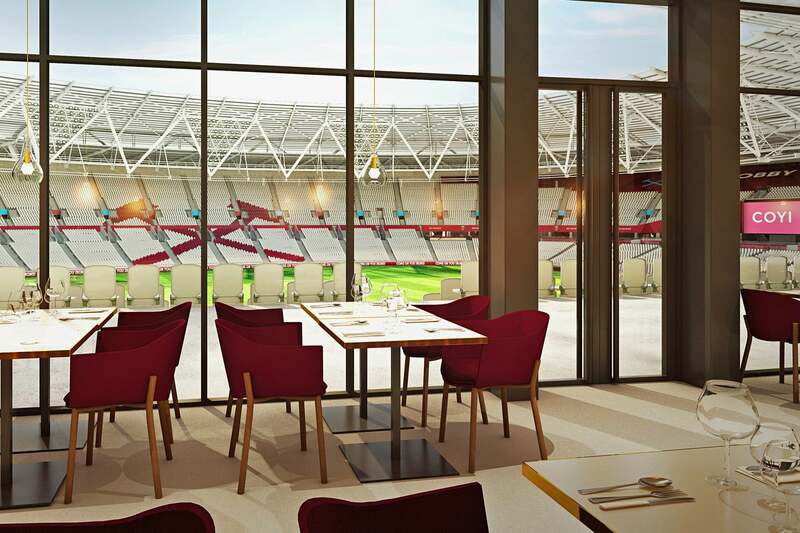 Everyone knows that away fans crop up all over the stadium and that seats at the LS are probably more exchanged than in the present Cabinet. "When you look at the legislation, it allows for this. If the Club authorises a transfer, it's allowed. In other words, you can't even give your pregnant wife's season ticket away to someone for free whereas the Club can sell, one way or another, to Ingrid from Oslo via Danny from Dagenham. "Now the Club will point to their requirements when selling tickets and their systems in place to identify those in seats, but in reality it doesn't happen does it? I believe we had/have a deal with Viagogo who deal with tickets like a Stan Flashman/Frank Lampard Snr combo. "There was a widespread acquiescence on the part of Clubs to turn a blind eye to 'innocent' breaches of Section 166. Tickets, especially for home games, are sold on or given away nearly always at face value or for a beer. It's been a part of going in a crowd and having one or two people changing. "Unlike the Club, when a fan sells his ticket on I bet only one in a hundred are for profit. The Club haven't been bother until recently. "Now, of course, the Club's own ticket trading scheme relies on fans selling tickets back to them at a loss and they are using Section 166 as a tool to threaten fans and to protect themselves. There seems a wider business agreement between them, other Clubs and their own agency partners to use the legislation to boost the model. "The ticket trade scheme seems to be onerous when it comes to getting your money back. The OP could only get merchandise as I understand it. To threaten him with a criminal offence if he gave his ticket to anyone but them seems a little OTT. "The legislation was not written intending to target the likes of Dwightster. It's a shame we can't hear what Lord Chief Justice Taylor would make of it all."